A famed name in the Italian Elevator Industry at the turn of the century was Giuseppie Falconi. He was a genius far ahead of his time, manufacturing steam-driven elevators, glass cars, observation and tower lifts, inclined elevators, electric-powered vehicles and double deckers with a luggage level below the passengers in the 1890s. The compact driving units combining all electromechanical gear indicate rationalization before it became a "pop" word in the 1950s and 1960s. The range of equipment also included paternosters with their chain of cabins and goods and passenger lifts for ships. The inventive Falconi also believed in style and variety. His luxury elevators could be seen as award winners at expositions, in ocean liners or a palace in Asia. In 1868, Vienna was a rapidly changing town. A creative, outgoing spirit had emerged when, in 1857, Emperor Franz Joseph I ordered the great walls to be dismantled and the city connected to the surrounding villages. Enormous building construction was started; within a few years, Vienna became a modern capital and the "Crossroads of Europe." This was the time when Anton Freissler finished his studies at the Vienna Institute of Technology and started work with a construction firm. His knowledge and outstanding ability created a reputation for him, prompting his election in 1867 as one of the young engineers to be sent to the Paris World Exhibition by the Austrian Tradesmen's Union. Leon Edoux, who was to become France's most successful elevator inventor, was initiating Europeans into the nature of the infant vertical lift, exhibiting before fairgoers what he termed, "the first secure hydraulic elevator" - a simple, direct-action apparatus which permitted stopping at any point and automatically regulated the car's velocity. Freissler was fascinated; relating the potential of the new science to the incipient building boom in his country, he returned to Vienna and bought a small workshop. With the aid of four assistants, he began building his first lifts in January, 1869. However, the necessity for sinking a plunger into the ground as deep as the required upward travel prompted the young engineer to seek a new drive system. In 1870, he was able to file an application for an indirectly acting hydraulic mechanism that would circumvent expensive excavation. With his system, the ram lifted a number of sheaves around which the hoist cable was reaved - a kind of chain block, in reverse. In the same year, Freissler was to install this type of lift in a Viennese palace, putting into service the Austro-Hungarian monarchy's first passenger elevator. By 1873, the budding Austrian manufacturer had a number of his indirectly acting short-ram lifts in operation and displayed several at the Vienna International Exposition. At this Fair, Freissler brought forth yet another innovation - one for arresting a car's fall, an improvement of the invention by the Frenchman, Libofte. As distinct from earlier devices of this kind, the new safety gear did not engage tooth racks mounted on the rails, but was based instead on the direct contact of serrated jaws to smooth guide surfaces. A decisive impulse was imparted to the elevator industry by the invention of the electric motor. In 1880, Werner von Siemens had displayed the initial electric lift at the Mannheim Industrial Exposition, but it was a relatively insignificant innovation to the famous von Siemens brothers who were engrossed about the same time with refining the steam-driven dynamo and commissioning the first electric locomotive. Freissler had no such distraction; his dedication was to the elevator field. After exhibiting his prototype four-passenger electric lift - at the Vienna Trade Fair in 1883, he went on to make this type of equipment a primary interest. An installation in advance of the state-of-the-art in 1890 was the 217-foot travel installation built by Freissler to the top of the Monchsberg at Salzburg. By means of friction, the traction power was transmitted from the driving sheave to a suspension cable which, at that time, supported two cars on an inclined railway. By the end of the nineteenth century, Anton Freissler's inventive genius was recognized throughout the world. Among other honors, he was awarded a special warrant by Emperor Franz Joseph I and appointed "Imperial Machinery Supplier." Freissler founded a new plant in the Tenth District of Vienna. Shortly after moving the factory, Freissler established a second plant in Budapest, Hungary. This made it easier to supply not only the Hungarian market but East and South Europe as well. The firm also specialized in the construction of heavy-duty equipment, installing several lifts with a capacity of 30 tons for hoisting railway cars. Another, with a capacity of 60 tons for lifting locomotives, was a technical sensation of the period. Around 1900, the development of electric elevator control systems took place. Freissler's genius in this field resulted in another patent: his "Electrical Control System for Accurate Leveling of the Car." Anton Freissler's legacy to the company was a continuing spirit of creativity. In 1927, the firm installed a lift with the longest travel in Europe - 330 feet; and when Vienna undertook to repair the ravages of World War II, it designed lifts with platform lengths of over 80 feet for the city's State Opera House and Burg-Theatre. Haughton Elevator Co. began in 1867, when Colonel Nathaniel Haughton purchased an interest in the Toledo Steam Engine Works, a small foundry and machine shop founded in 1865 by Cooke, Kneiser & Groff. The firm produced steam engines, mill equipment and general machinery, and by 1880, had become active in the manufacture of elevator equipment. 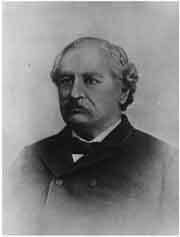 In 1880, Col. Haughton bought out the last original partner, naming the firm "N. Haughton Foundry and Machine Company." On November 11, 1897, the organization was incorporated as the Haughton Elevator and Machine Co. Control of the firm was to remain in the Haughton family until the passing of Irving N. Haughton in 1935. The largest family-held elevator manufacturer in Germany was C. Haushahn GmbH, founded in 1889, by Immanuel Hahn, descendent of the famous inventor, Philipp Matthaeus Hahn. The company started in Stuttgart, but moved to the neighboring town of Feurbach, in 1896, where it set up a shop for the manufacture and repair of weighing machines. At the turn of the century, when the company gravitated more to crane and elevator production, there were only a few dozen workers; in 1985, there were about 1,800 employees. In 1909, an administrative building was erected on the Borsigstrasse; the factory area doubled and re-doubled until it covered fifteen acres, and Haushahn gradually segregated its interests into three areas: (1) elevators, integrating as many as eight cars in one group with speeds up to 1,400 fpm; (2) cranes, with capacities up to 500 tons; and (3) stacker elevators, with a reach of up to 100 feet. The firm became well known for its pioneering efforts in designing elevators for high-rise towers utilized for communications and observation across Germany. The first giant tower was proposed upon a hilltop overlooking Stuttgart and, at the suggestion of Professor Dr. Ing. 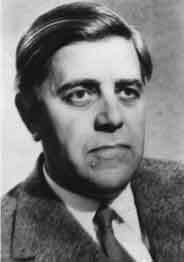 Fritz Leonhardt of that city, was designed of reinforced concrete instead of the traditional steel lattice. The tower structure did not present as much of a problem as the elevators, themselves, for in 1953, the National Lift Regulations dated back to 1926 and allowed speeds of only 300 fpm. Prior to 1961, "certificates of exemption" had to be obtained for any new technique or design. It took particular courage for the transmission industry to entrust a German elevator company with the task of providing equipment that would operate at 800 fpm; as hoisting gear, controls and safety devices had to be developed in this range. The exemption was obtained upon the condition that "the two cars be operated by an attendant." After completion in 1956, the 2,650 lb. capacity cars, with 500 feet of travel, proved successful. Kleemann's Vereinigte Fabriken in Obertürkheim, a suburb of Stuttgart, had a modest beginning in 1848, when the file-cutter, Ferdinand Kleemann, began producing and repairing agricultural machinery using a water wheel on the adjacent stream as a source of power. Later, the operation was extended by the building of a small foundry. The founder had four sons, Ferdinand, Wilhelm, Friedrich and Heinrich. At the turn of the century, Heinrich contributed (by marriage) another enterprise: the Hildenbrand'sche Fabrik in Faurndau near Göppinggen. Thereupon, the initial name of "Ferdinan Kleemann & Söhne" was changed to its present. The enterprise began producing hydraulic machines as fruit and wine-presses, as well as lifting platforms. From this emerged the manufacture of hydraulic lifts. From stage lifts, the company branched out into moveable bottoms for swimming pools and installed about 300 throughout Germany. The next emphasis was upon hydraulically raised partitions, weighing up to 40 tons. The factory specialized in the manufacture of large jacks (with maximum piston diameters of 400 milimeters) and sold a number of the bigger sizes to other manufacturers. Electromechanical locking bars are interesting products, coming in four sizes, the largest of which will hold ten tons. These thrusters are necessary adjuncts to the large hydraulic platforms, enabling them to become an integral and flush part of the surrounding floor area. 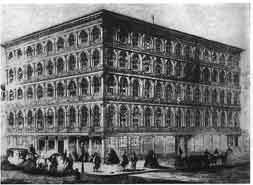 In 1852, as master mechanic for a Bergen, New Jersey, bedstead manufacturer, Elisha Otis was put in charge of building a new factory in Yonkers, New York. When company owner Josiah Maize asked Otis to include a freight elevator in the new building, the forty-one-year-old mechanic, aware of the inherent risk of the hoisting rope, focused upon the safety angle. Otis' hoist featured a safety brake incorporating a concept he had already seen used in common ratchet mechanisms. Along the vertical guide rails at either side of his hoisting platform, he mounted a row of sawtoothed iron bars. Where the top of the car engaged the rails, he installed a set of iron teeth or safety dogs on each side. The teeth were connected by mechanical linkages to an ordinary wagon spring mounted across the car top, and the hoisting rope was fastened to the center of this spring. Under normal conditions, the wagon spring was held nearly flat by the weight of the elevator, preventing the teeth from touching the adjacent guide rails. If the hoisting rope parted, however, tension on the spring was instantly released, allowing it to force the teeth against the ratchet bars and preventing the elevator from falling. The safety hoist attracted much attention at first, but interest faded when the Yonkers Bedstead Manufacturing Co. went bankrupt. With a family to support and no job, Otis was desperate. Then fate intervened. Two unsolicited orders for freight "safety hoists" arrived from neighboring factories in New York. One order was prompted by an accident that killed two men when a lift fell in the Newhouse Furniture Factory. It made good business sense to install safe freight lifts: workers who rode the hoists with the cargo often demanded double wages. 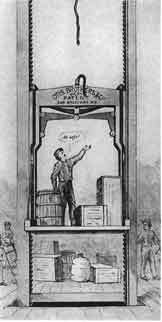 Otis went into the "safety hoist" business on September 20, 1853. Otis never used a drawing board, a blueprint or a prototype model. He designed his inventions as he built them and without drawings. The plans for his elevator and many of his other inventions (including a wood-turning lathe, railroad brake, steam plow, lift bridge and rotary bread oven) were illustrated only as required for application to the Patent Office. Although first-year sales of his safety hoister totaled US $900, Otis' profit-and-loss statement spelled trouble. The company was deeply in debt for equipment. In lieu of cash, Otis had accepted an artillery gun and carriage from Benjamin Newhouse as partial payment for Newhouse's order. Company assets amounted to US $122.71, which included a second-hand lathe, two oil cans, Otis' ledger book, and, presumably, the artillery piece. Otis realized that the time had come for dramatic action to prevent his new enterprise from failing. In May 1854, in a triumph of inspired salesmanship, he introduced his invention to the public at the Crystal Palace Exposition - America's first world's fair - in New York City. After installing a full-sized working safety hoist in a prominent location in the Exposition's main building, Otis loaded boxes, barrels and other freight on the hoisting platform. Then he boarded the lift and had it hoisted four stories above the crowd. From that vantage point, the inventor explained his wagon-spring safety feature to the skeptical spectators. Finally, to the curious onlookers' astonishment, Otis ordered the hoist rope cut. With a sudden jolt the lift slipped. Spectators screamed and gasped, certain they were about to witness a fatal crash. Instead, as Otis knew it would, the safety mechanism automatically engaged the ratchet bars and the hoist hung suspended in mid air. Then, with an uncharacteristic display of showmanship, Otis doffed his top hat to the applauding crowd and said "All safe, gentlemen, all safe!" Otis' spectacular demonstration, repeated at frequent intervals, was one of the hits of the 1854 Exposition. His company's sales totaled US $2,975 that year and nearly doubled in 1855, when Otis received orders for fifteen elevators. Sales nearly doubled again in 1856, when enterprising merchant E.V. Haughwout asked Otis to build a safety hoist to lift people. No evidence exists that Otis had previously considered this possibility. On March 23, 1857, Otis installed the first modern passenger elevator, powered by a steam engine, at Haughwout and Co., a five-story building in New York City. Even though the lift cost Haughwout US $300, its value as a novelty paid liberal returns in increased store traffic. The elevator traveled at an amazing forty feet per minute, and the trip to the top floor took a little over sixty seconds. Nine years after Otis built the first safety hoist, his company was valued at US $5,000 and employed eight to ten men. Then, on April 8, 1861, four months short of his fiftieth birthday, Elisha Graves Otis fell victim to a diphtheria epidemic and died in Yonkers. Otis' sons Charles and Norton, who since boyhood had assisted their father in his engineering endeavors, took over the company and struggled to keep it going during the Civil War and the subsequent recession. Just six years later, the Otis Co. was doing nearly US $400,000 in sales annually. Much early business came from the hotel industry. In 1866, the St. James Hotel in New York City became the first such establishment to install a passenger elevator. In its 1869 catalog, the Otis Co. advertised that a hotel's upper floors were "the most desirable in the house, whence the guest makes the transit in half a minute of repose and quiet, and arriving there, enjoys privacy and coolness of atmosphere and an exemption from noise, dust and exhalation." Before this revelation, the penthouse had usually been given to the janitor as partial payment for his services; climbing multiple flights of stairs was considered undesirable. Talented inventors and engineers in their own right, Charles and Norton Otis continued to improve on their father's work. The brothers eventually received fifty-three patents on elevator design and safety devices. In 1872, Otis Brothers, as it was then called, introduced a roped hydraulic elevator capable of operating at speeds up to 600 feet per minute, much faster than conventional steam-powered hoisting rope-type lifts. These elevators also overcame the limitation of the drum type with a limited rise capability at about the same time the brothers designed a governor-operated safety device capable of bringing the high-speed car to a gradual stop in an emergency. The 1880s and 1890s saw an increase in business for the company after a young architect named William LeBaron Jenney solved a problem that had baffled builders. Tall buildings constructed before this time required the support of massive masonry foundations, and even these were limited to about ten to twelve stories. In 1885, Jenney designed a building with load-bearing walls of steel. He used this new technique to construct the ten-story Home Insurance Building in Chicago. Jenney's innovation brought about a construction boom. During this same era another young architect, L.H. Sullivan (assisted by Frank Lloyd Wright), designed and built the first true skyscraper. Although Jenney and Sullivan are generally credited with fathering the skylines of America's cities, their creative genius would have been stifled had not another innovator invented the safe elevator more than 30 years before. Realtors and investors soon realized that building up, rather than out, over expensive property meant greater business returns. The Otis brothers benefited from the boom that transformed low-lying business districts of cities into towering and distinctive skylines. The sequel is history and the skylines of cities - all starting with a "wagon spring." Tendered by Sharon Cramer Drain, Great, Great, Great-Niece of Elisha Graves Otis in "The Otis Bulletin," November 1948. The progenitor of the transport combine, R. Stahl built its first electric elevator almost 100 years ago. Its leading position in Germany was established in 1965, when it merged with one of the oldest and most capable of manufacturers, Adol Zaiser (a firm founded in Stuttgart back in 1879). Its leader, Herbert Zaiser, was an elevator man long respected in the industry. In 1966, R. Stahl supplied the elevators in the 1,762-foot-high TV tower. The four cars with their seven m/sec speed (and wireless control) were the fastest elevators, with the highest travel in the world. Rheinstahl, parent organization of R. Stahl and Eggers-Kehrhahn of Hamburg (the escalator manufacturer), pioneered the first melting of the basic Bessemer steel in Germany in 1879, the first blast furnace in 1889, and the first steps in direct steel processing in 1904. In 1969-1970, R. Stahl was acquired by Reinstahl, during a period when the latter was being linked with Daimler-Benz AG. Then in 1973, Thyssen-Hutte AG acquired 60% of the Rheinstahl shares; the new conglomerate becoming the second largest combine in Europe; fifth in the world. With the Thyssen name having such global importance, it will gradually supplant that of R. Stahl and Eggers-Kehrhahn upon elevator/escalator equipment. Augusto Stigler, at the age of 18, fled with his family from Germany to Zurich and studied engineering at the Polytechnic Institute. Graduating in 1857, he taught at the school, then moved to Milan in 1860 where he founded Officina Meccanica Ing. Augusto Stigler. His son, Augusto Stigler II, who graduated from Milan Polytechnic in 1884, assisted his father in a transition to electric motors and control, and the pair installed their first electric elevator in 1898. They developed mass production about 10 years later and were pioneers in the creation of the "packaged" passenger lift so many of which existed in the European apartment houses of the day. By 1910, 10,000 Stigler lifts were in operation; 20,000 by 1920 and 35,000 by 1930. When Augusto Stigler III joined the firm, annual production had reached 1,500 units. By January 1, 1947, the firm had installed almost 45,000 lifts, slightly over half of which were in Italy. The remainder was installed throughout Europe and as far away as Rio de Janeiro, Buenos Aires, Seoul, Tokyo, Bombay and Cairo. The manufacturer's name became synonymous with "lift" and a lady not wishing to climb the staircase would say, "I'll take the Stigler!" Elevatored buildings included the royal palaces of Europe and Asia and, as may be seen from this exhibit, the cabins ranged from the simplest design to those with elaborate ornamentation and exotic woods, settees and fixtures. In 1833, Richard Waygood founded a proprietorship in the village of Beaminster. He had been born there in 1806 and having a keen mechanical mind soon developed a successful business in general engineering, including the manufacture of stoves and hot water apparatus. In 1842, feeling that his native village did not provide sufficient scope for his energy and ideas, he transferred his business to London where he started a foundry and carried out a wide trade of general engineering, including water wheels and sawing machinery. Here, one of his foreman from Dorsetshire, John Marsh Day, joined the operation. In 1863, the Chatham and Dover Railway acquired his premises and Waygood invited his nephew, William Robert Green, to join him. 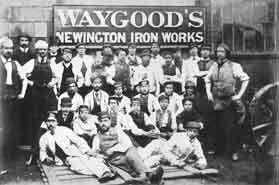 They began building a factory on Falmouth Road and transferred the name Newington Iron Works to the new site. They were anxious to get the new factory operating and worked early and late, not infrequently having a few hours sleep on one of the benches. The only office at this time measured 14 by 10 feet and was entered by a kind of ladder/staircase through an area where an old man, Dobson by name, kept his paints and crabsides, the smell of which was at times not altogether helpful to those occupying the office above. With larger premises, a substantial amount of work was done with merchants who exported goods; manufacturing consisted of oil presses, rice, sugar and flour mills, cooking apparatus and general engineering. At this stage Henry C. Walker, the author of this history, entered the services of the company. In 1868, a market was perceived for hydraulic lifts and the firm's first was sold to Hobbs, Hart & Co. 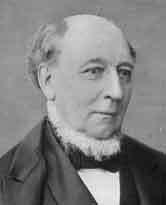 The passing years became a great trial to Richard Waygood and he found it necessary to withdraw from active management of the company in 1872 while still maintaining a deep interest in its activities. At this time, Waygood formed a partnership of himself and his employees, J.M Day, W.R. Green and the author. R. Waygood and Co. went on to add to its products: hydraulic and screw presses, a famous rock drill and an air brake for trains. 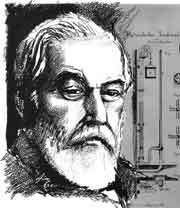 The experimental two-cycle combustion engine, invented by James Robson, was built for him by R. Waygood. One of these engines, called the "Patent London Gas Engine" was exhibited in 1880 and became the forerunner of the modern two-cycle petrol engine. Miscellaneous work was given up for the development of cranes, hoists and lifts, simplest of which was the hand-powered type for private homes, hotels and restaurants. These were inappropriate for warehouses, hospitals or large flats, and steam and gas engines were soon utilized to take power to larger, higher lifts by means of belts. 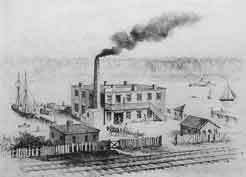 The General Power Co. was formed to take water from the Thames, turn it into steam, and deliver it to an ever-widening area at 700 psi. This company soon opened branches in Manchester, Newcastle-n-Tyne, and later in Sidney, Australia, all this providing a stimulus for hydraulic elevators and powerful hydraulic cranes at the docks. R. Waygood followed the power wherever it led! The German industry's largest supplier of elevator motors is located in Künzelsau, two hours drive north of Stuttgart. The company was founded in Berlin in 1910 by Emil Ziehl, a University of Berlin graduate, who had spent many years in the Research and Development Center of AEG-Telefunken in that city. From the beginning, Ziehl-Abegg made special AC and DC motors and its generators were used in the Zeppelins, Lufthansa aircraft and later by the Luftwaffe. The firm grew fast; in 1918, there were 300 employees; in 1938, more than 1,000; and at the end of World War II, nearly 3,000. 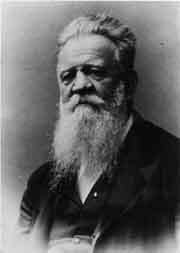 In 1939, upon the death of the founder, the eldest son, Günther, took over. (At the time, the younger son, Heinz, was serving as a soldier.) Unfortunately, Ziehl-Abegg was located in that part of Berlin taken over by the Russians and the plant was dismantled and shipped East. In 1949, Günther and Heinz Ziehl re-founded the company in Kunzelsau. William Wadsworth began a machinist's business in 1864, repairing belt-driven equipment in the mills in and about Bolton, England. When sons, Thomas and Alfred, previously apprenticed as a millwright and draughtsman, joined the firm it became Wm Wadsworth & Sons in 1891 and commenced manufacturing worm gear hoists and the self-landing transporters that were to become famous for moving material directly between flloors and wagons or trucks. Wadsworth sold thousands, as did several other manufacturers. When the direct hydraulic elevators, serving the Mercey Underground Railroad since 1886 at the world's first under-river crossing, 90 feet underground, had to be replaced Wadsworth substituted four 60-passenger and two 70-passenger lifts - providing the largest carrying capacity in the country - 30,000 people per hour. The firm became much involved in the manufacture of completely packaged lifts in the late 1950's and early 1960's when "industrialized building" had taken over in Europe in the drive to place war-generated homeless undercover in multi-storied apartments. Later the company reversed course and took pride in developing "one-offs" - whether a pair of 30-ton oil hydraulic freights with magnetic door "grips" or explosion -proof winding gear for gas holding tanks. However, from a historical viewpoint, in 1882 it was still maintaining a "teagle-transporter" installed in 1900 in a three-story warehouse and also pointing with pride to the time, decades before when it produced the diversified series of cabins and entrances.